With 90kg capacity, the WMBC90 roll-in blast chiller is designed to give caterers complete control of the chilling process. 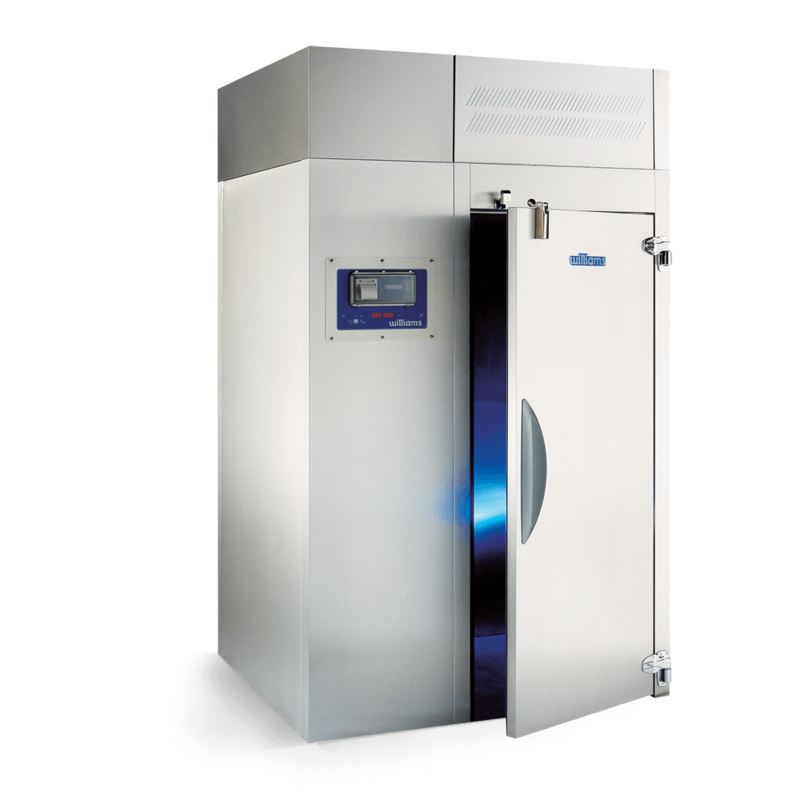 With 90kg capacity, the WMBC90 roll-in blast chiller is designed to give caterers complete control of the chilling process, even where space is limited. Able to reduce the temperature of food from 90°C to 3°C in just 90 minutes, it’s packed with advanced technology to ensure product is kept in the best possible condition. 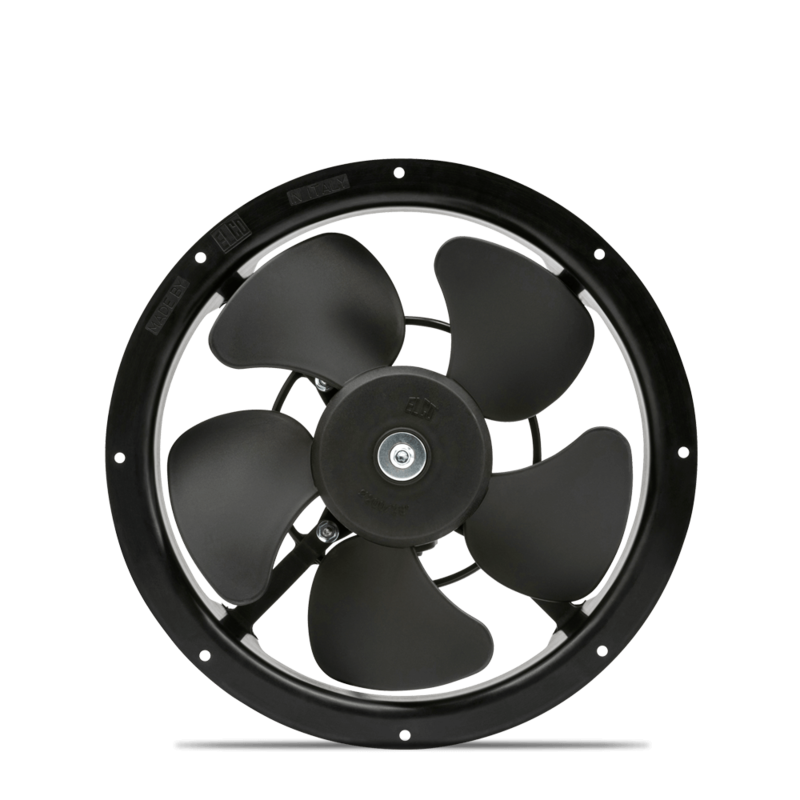 Williams’ specially designed AirSmart air flow system eliminates product dehydration and guarantees even chilling. A choice of hard or soft chilling means delicate food can be cooled without damage while also being able to handle denser foods. 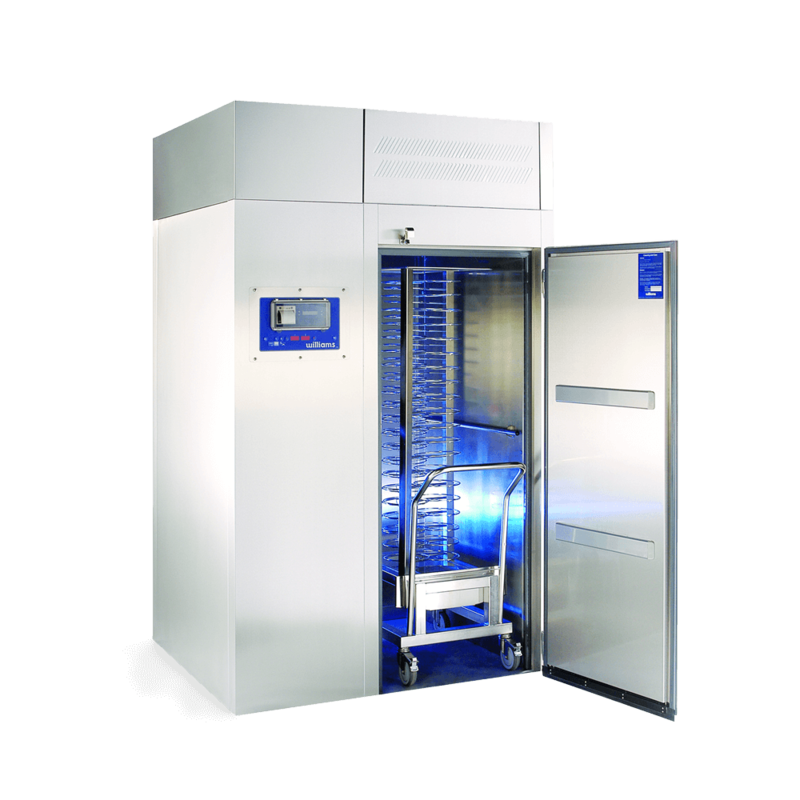 Williams’ modular blast chiller range delivers performance that exceeds the requirements of food safety legislation, meets worldwide guidelines for cook/chill catering systems and is HACCP compliant. The 120kg WMBC120 roll-in blast chiller rapidly reduces the temperature of hot foods from 90°C to 3°C in just 90 minutes. With 200kg capacity, the WMBC200 modular roll-in blast chiller is designed to accommodate 2/1 GN trolleys. 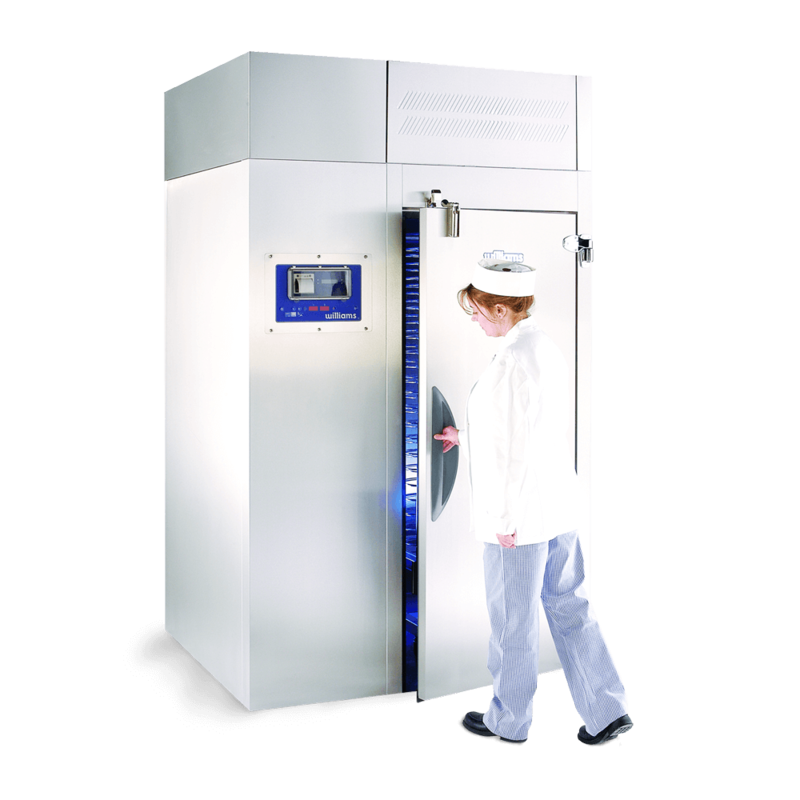 With a capacity of 320kg, the WMBC320 modular blast chiller is ideal for caterers that need to chill large quantities of food quickly – and safely.